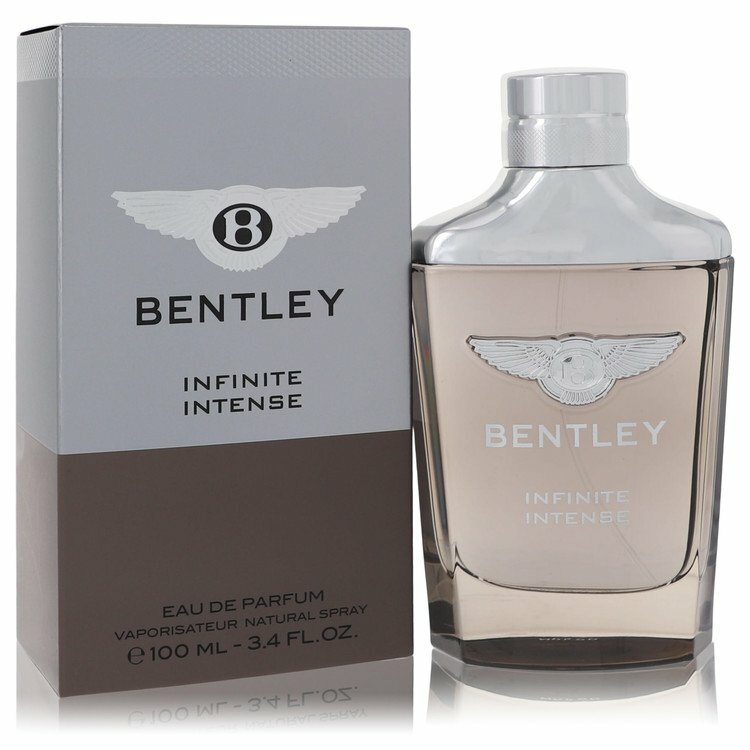 There are 5 reviews of Bentley Infinite Intense. A dark-ish peppery-floral opening blast, with the floral side mainly represented by a violet impression; with a slight coating with a soft jasmine and touches of a gentle smokiness added in at times. The drydown adds a touch of crispness, courtesy of a combination of benzoin and some nutmeg. The base is developing a nonspecific woodsiness, which, together with a somewhat bland patchouli combines with the heart notes. I get moderate sillage, excellent projection and nine hours of longevity on my skin. A pleasant scent for warmer winter days, it is not without original touches, but the generic nature of its ingredients does drags it down a level or two. Still, quite pleasant overall - in an unexciting way, but it is blended well. 3/5. Quite pleasant opening and even better drydown. Not the most unique scent but certainly office wear worthy. A Virginia Woolf's ideal "To the lighthouse's fragrance". Meditative, silent, nostalgic. At the beginning it seems to deal with the umpteenth Mont Blanc Emblem's clone but fastly along the way Infinite Intense activates a sort of more opaque and mysterious vibe really hard to be described, ozonic and semi-oriental at same time. Over the first sharply tart blast the juice turns soon out floral and silky, quite warm and velvety, something (salty-suedish) really melancholic (ambery-suedish violet?) as a winter afternoon spent admiring the oceanic waves from the lighthouse's hill. There is an aereal salty/suedish freshness combined with an opaque darker warmth which is musky-benzoinic, spicy-ambery (an almost yummy/edible violet-centered blanket) and silky-suedish, overall with a violet's general musky vibe. Violet is not properly damp or angular but prevalently musky and soapy. Dry down is quite romantic and surely virile and "confident". Really not bad. 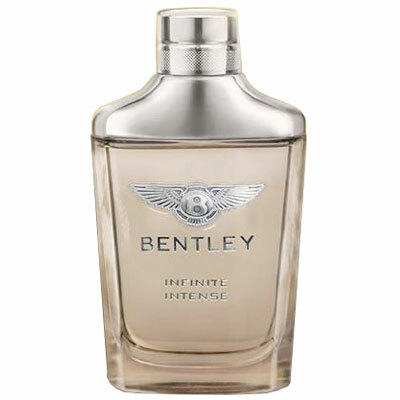 Today, Bentley Infinite Intense is giving me a similarity to the original Colors de Benetton Man in the black bottle. Anyone else getting this similarity? I needed to revise my review. My initial review was based on a newly opened bottle and in the meanwhile the juice has matured and gone through some major changes. Some notes were simply not there before. The new juice was much less aromatic with a dominant pepper note and bad performance. This scent is perfectly suited for a man in his forties and up. But it doesn’t smell dated, so younger persons can wear this without a problem. If you can see yourself wearing Grey Vetiver, you should give this a try. I’m not saying they are too similar scents but I think they would appeal to the same group of people. This is a sophisticated aromatic scent. It is also very unobtrusive and laid back. The opening features pepper and violet. But the pepper, although prominent, isn't too harsh and obtrusive. Later, nutmeg takes place of pepper and gives it much more aromatic vibe. Infinite Intense is somewhat similar to Oriflame Platinum. It shares most of the ingredients with it, too. However, Bentley is not harsh, nor synthetic like Platinum. It's a more quality take on the same smell, richer and deeper. The projection is intimate but strong, suited for a man. Longevity is excellent. Infinite Intense is a quality fragrance, aromatic in the middle and aromatic-woody in the dry down. I find it lacking some kind of kick that would make it more interesting but I suppose it was never intended to be anything more than a decent smelling fragrance. And when I say "decent", I mean it in the most positive way. It's classy, smooth, confident, manly, mature and a bit sensual. If you're having severe performance issues with a new bottle, just give it some time to ripe. I noticed significant improvements in aroma and performance three months from the first spray.